Times Printing has a long and rich history in Humboldt County. A fourth generation, family owned and operated business, the company has enjoyed serving the region since 1854. Before being renamed Times Printing in 1939, the company was known as the Times Publishing Company. Originally the print shop for the area's first newspaper, the Humboldt Times, Times Publishing Company printed the newspaper and other jobs such as books, business cards and letterhead. In 1946 Arthur Smith bought Times Printing, thus cutting its ties to the Humboldt Times and becoming an independent company. During his time in the printing industry Arthur saw every kind of power applied to press operation including hand and foot powered levers, water power delivered by overhead pulleys, steam power, and eventually electric motor power. He even, on occasion, manufactured ink from basic raw materials. In 1955 Arthur sold the business to his son-in-law and daughter, Charles and Gladys Strope. It was during Charles' time in the printing industry that small duplicator presses were developed. These presses were less expensive than letterpresses and operators could be trained to use them in much less time than the 6 year apprenticeship required to train traditional press operators and typographers. In 1985 Charles retired and completed the transition of ownership and management of Times Printing to his son, Lane Strope and Lane's wife, Susan. Lane is currently in the process of passing leadership of the company on to his son, Seth Strope, a fourth generation owner. In 1998 Times Printing purchased a Heidelberg Quickmaster DI (direct image) press, a revolutionary four-color waterless offset press. Unlike the one- and two- color presses of the time, all four colors of ink were laid down on the press sheet with only one pass through the press to make full color images. This technology greatly added to the quality and speed at which color printing could be completed. 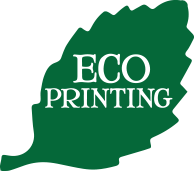 The DI prints using vegetable based inks on recycled paper, so there is no need for the traditional hazardous chemicals used for processing film and metal plates. In 2008 Times Printing acquired the equipment necessary to offer automated mailing services. This addition to the services has allowed the company to become a full service print shop and mail house. Client mailing lists are checked for duplicates and addresses that have changed within the last year are updated. Addresses and barcodes are printed directly onto the printed pieces, eliminating the need for address labels. Services such as gluing, tabbing, inserting and folding are also offered. Client orders are then presorted and delivered to the post office. Times Printing is growing due in part to our 2011 merger with Artcraft Printers, and the 2012 purchase of Eureka Printing. Emmie Peterson, owner of Artcraft Printers, and Jerry Carter, owner of Eureka Printing, were looking to retire and did not want to close their businesses. Merging with Artcraft Printers and purchasing Eureka Printing has allowed us to minimize any interruption in service for their clients and keep the history of both companies alive. The success and longevity of Times Printing is greatly due to the support and patronage of the local business community. Please feel free to come by anytime to see samples of our work or to discuss your print project. Our staff is very knowledgeable and can offer assistance and suggestions for whatever project you have in mind.